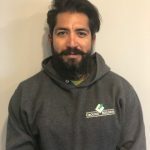 Home | Ground Builders, Inc. Welcome and thank you for visiting our website. Years ago, Ground Builders was born out of the simple concept of two college students driven to success. We believe success comes from satisfied customers and offering the best products and services around. 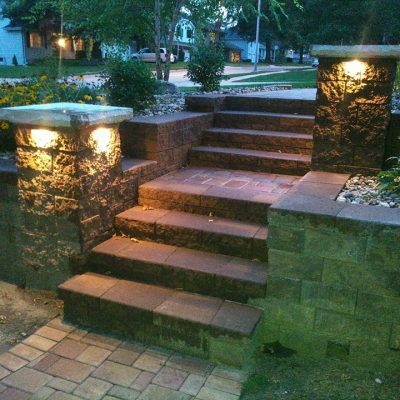 Over the years, Ground Builders has earned a very positive reputation and a long list of satisfied customers. Without our customers, business would not be possible, that's why you are always at the heart of our decisions and operations. 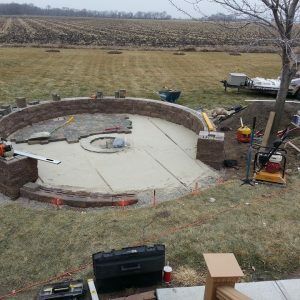 Ground Builders is able to handle all of your design, hardscape, landscape, and grounds maintenance needs. No project is too big or small. 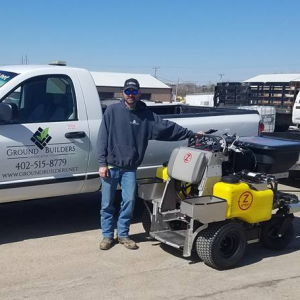 With an experienced staff and the drive to offer the best products and services, there is no better landscaping choice in the greater Omaha area. Our experienced and dedicated staff work one-on-one with each client to ensure they receive exactly the services they expect and more. By delivering what our clients expect, we hope to gain a productive and long-lasting relationship with our clients. 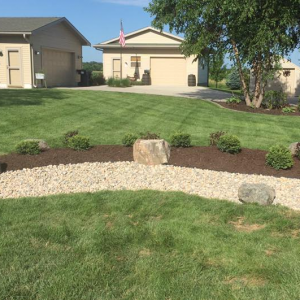 We look forward to making your landscaping dreams come true. 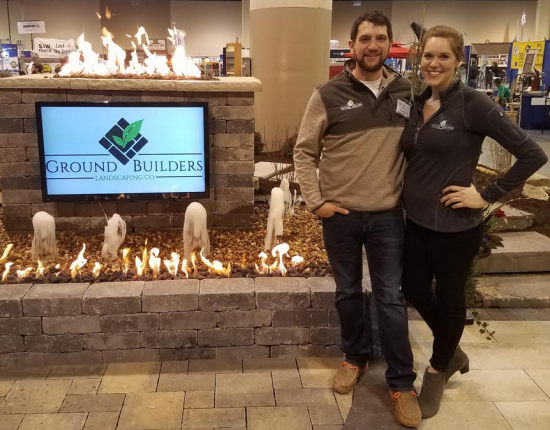 Owner Jason Porto and wife Hannah Porto at the 2018 Nebraska Home Show. 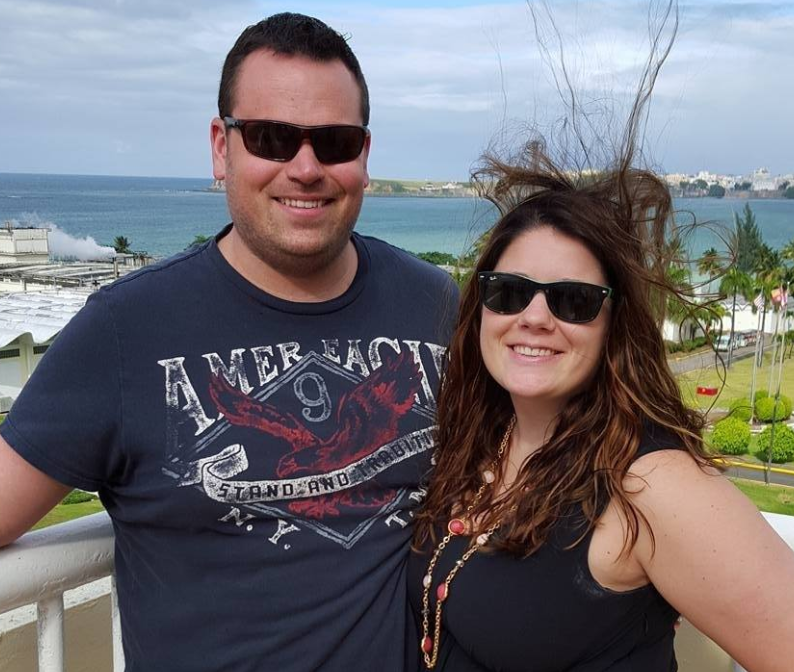 Hannah and Jason are the owner/operators of Ground Builders, Inc and are here to serve you! 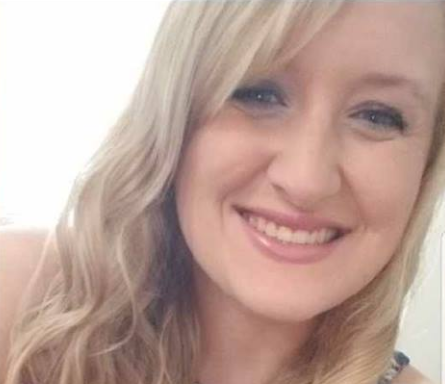 Hannah specializes in managing the office and finances while Jason works directly with customers to design projects and make your dreams a reality. 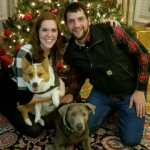 Hannah and Jason married in 2013 and love spending time outdoors with their dogs, Clancy and Platte. 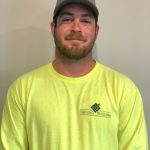 Ryan has been with Ground Builders for 5 years. He is the brain behind our crews, scheduling, and projects remaining on time. 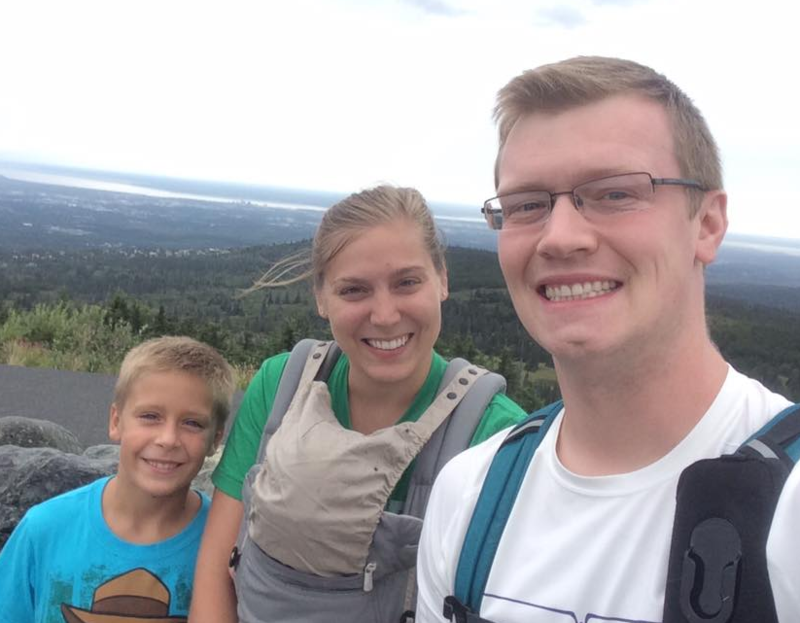 In Ryan's free time, he is often found on his motorcycle or spending time with his girlfriend and her kids! 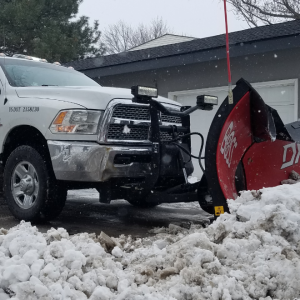 Although Ryan loves the summer months, he has been known to put in some serious hours during snow removal with his trusty furry friend and sidekick, Benelli . 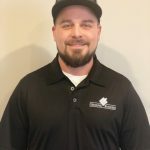 Ryan is ICPI and SRW certified and a graduate of Leadership Boot Camp. 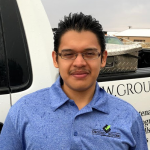 Gil has been applying his attention to detail to our customer’s turf care for 4 years. He does an exceptional job at ensuring quality in all areas including leading his crew. He has a love for learning new skills and mastering them. His 3 wonderful kids often ask him for toy sized equipment of what "dad uses at work". Matt is quite the ambitious young man. 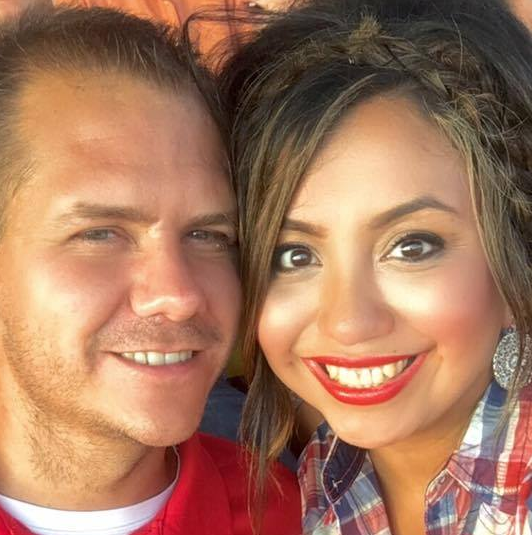 He is a full time student, works for Ground Builders full time, and works as a bartender on the weekends! Although he is busy, he does not let that show on the jobsite. He loves creating spaces our clients love. 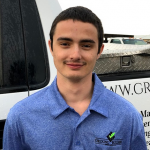 In school, he’s learning management skills that he’s putting to use at job sites. 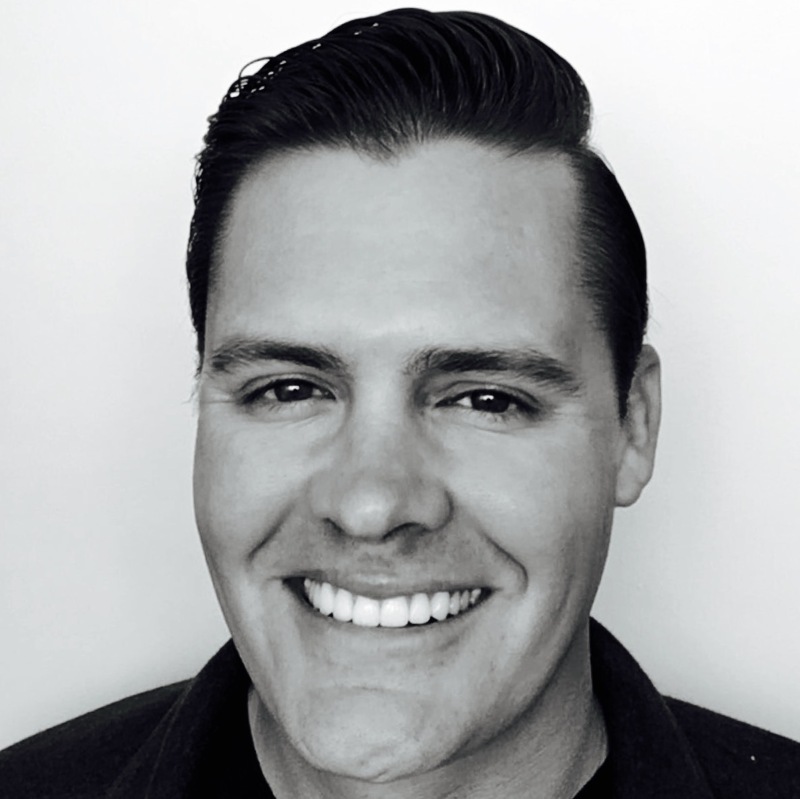 Matt began working for us part-time when he was in high school and moved to full-time 4 years ago. 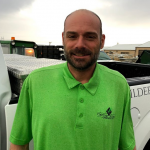 Shaun has extensive knowledge when it comes to your turf care. He has been through multiple classes and holds his State of Nebraska pesticide applicators license. He takes great pride in making our client’s turf look its best! 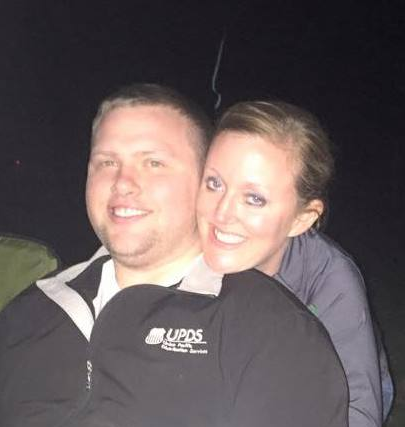 Shaun enjoys spending time with his wife and taking weekend trips throughout the summer! 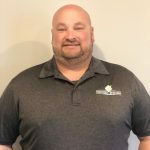 Doug has over 18 years experience in the landscape industry. 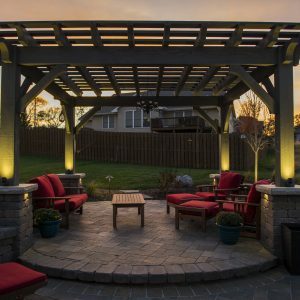 With his vast plant knowledge and experience in designing functional outdoor living spaces he can turn any outdoor space into your dream get away! 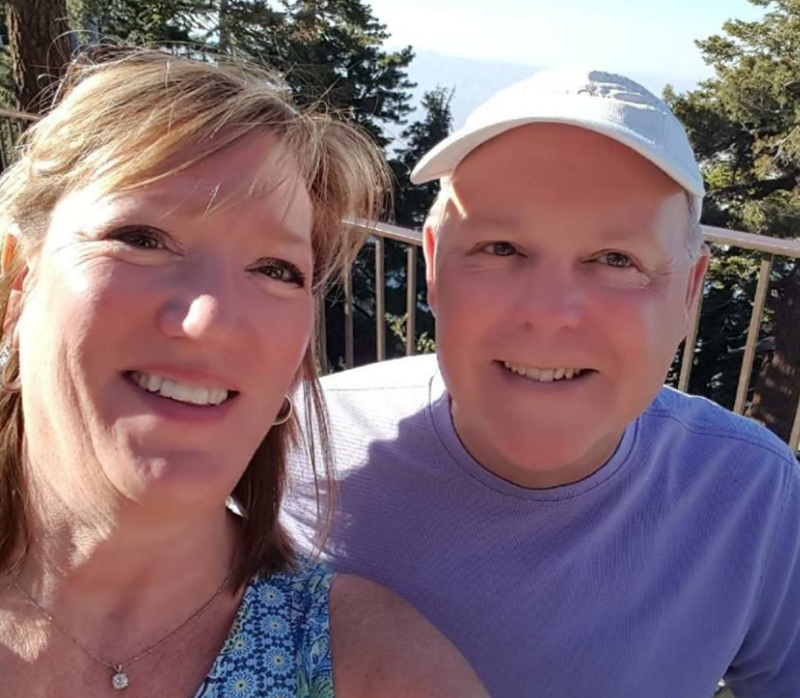 In Doug's free time, he enjoys spending time with his newborn son and tries to never turn down a hunting trip. 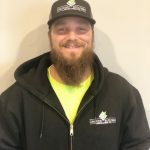 Jason has been working in the lawn/landscape world since 2000. 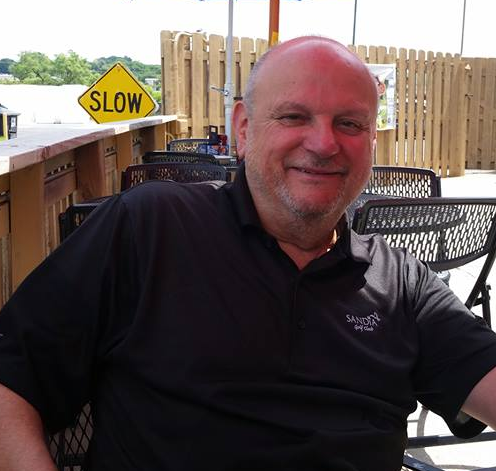 He loves meeting and talking with clients about their properties and bringing their dreams to life. Jason has three kids that are quite athletic! He prides himself in making it to as many games and practices as possible and instills the value of hard work in them. Since a childhood, Tony has had tools in his hands. He loves challenges and troubleshooting mechanical issues. He keeps up a neat and tidy shop and makes sure our equipment is always well maintained and ready for a hard days work with our crews! Him and his family recently moved to an acreage and they are looking forward to raising all sorts of farm animals! We will have to add Farmer Tony to his title soon! Josh is quite the hard working guy! He loves being outside and learning new things. He always has a smile on his face and a joke up his sleeve. When he's not at work, he's spending time with his son and working on his side business milling wood for lumber and wood accents. 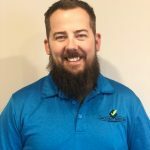 The owner, Jason, worked with me directly to meet my landscaping goals and beat the competition on pricing! Excellent service; I recommend you set up a consultation with Ground Builders right now! My wife and I have used Ground Builders on several occasions and the service we've received was five star every time! Thanks for making our house look even more beautiful! 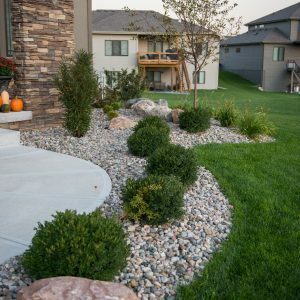 I've used Ground Builders for a few years and can say with confidence that my lawn looks simply incredible thanks to their 6-step treatment plan! Cost effective and simply effective in general! Never have I been more satisfied with a landscape company. I have the owners personal cell number to call anytime I need to, and he often answers after hours for my lawn care related emergencies. Ground builders transformed our backyard to an entertainment destination! Jason and his crew installed a fireplace, a water feature, and a wonderful stereo system. They can do it all! My landscaping project with Ground Builders has been nothing short of amazing. They were able to bring my imagination to reality. The design process was second to none, and the employees treated my entire family and property with the utmost respect. Have used them for years. Always dependable and willing to be flexible to get the best results. Do a little extra more than they have to to: get best results. Recommended to my church who now uses them for both lawn and snow removal. Can't rate them highly enough. Great company, honest, hard working and dedicated to create the vision you hope for. You will be pleased with the results! You can always expect great work from Ground Builders. Always putting customer's needs first. Their landscaping designs are amazing and creative. If there's a problem, the owner is willing to work with the customer to make sure they are 100% satisfied. I love working with them and will continue to in the future! I recommend them greatly to anyone who is looking for a hardworking and honest company. Thanks for the hard work guys! We use the latest software to design and build your dream in 2D and 3D before we ever break ground. We'll tweak your design as needed and suggest the best possible solutions to build your dream. 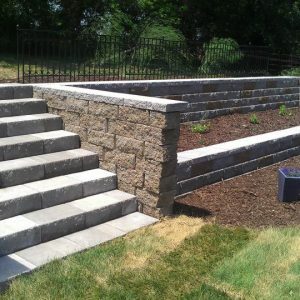 From patios to retaining walls, we can do it all. 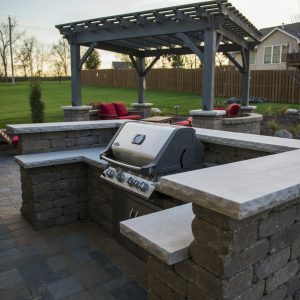 Our experienced professionals have the skills needed to understand your goals and make your outdoor dream a reality. We take every step to ensure that your landscape is beautiful, functional, and innovative. Our trained professionals are fully qualified and capable of exceeding your landscape needs and goals. 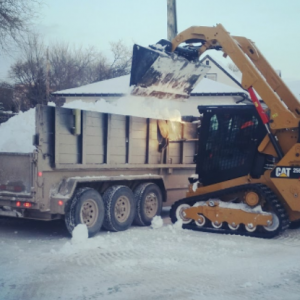 Snow removal is serious business and we maintain a vast fleet of equipment that is ready for any winter strike. We promise a safe, clean looking property for your family, employees, and customers. We value customer service over anything else. Trust us to treat you and your property with the best care in the industry. We offer commercial and residential services for any size property. 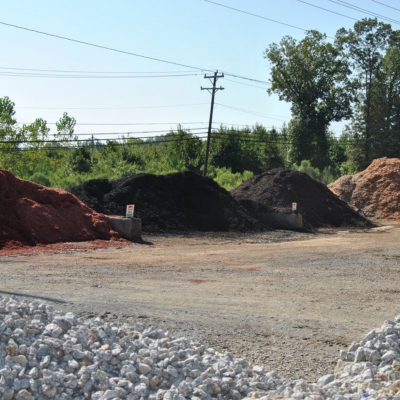 Need bulk materials for your project? Our supply yard is stocked! Additionally, we offer free delivery when you purchase 6-yards of materials or more. Is your dream to add aesthetic value, increase property value, improve safety and security, expand usable space, or alleviate drainage issues? You've come to the right place. We offer the following services to help you achieve your dream. Our trained professionals use modern equipment and techniques to complete your project without delay. 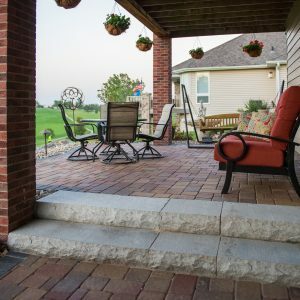 We have a variety of elegant interlocking pavers that will make your patio the talk of the neighborhood. 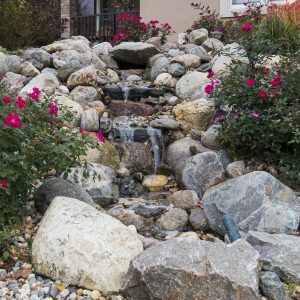 We specialize in ponds, waterfalls, bubblers, water ways, and more. 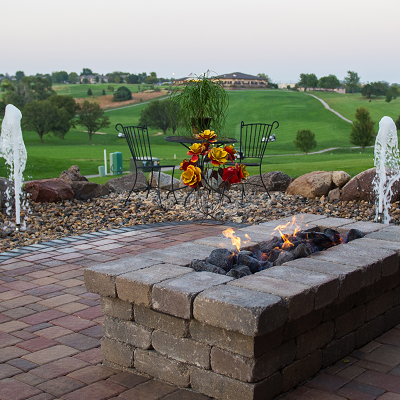 Enjoy a cozy sunset with a custom-built fire feature for your property. We specialize in block, timber, and boulder type retainment. 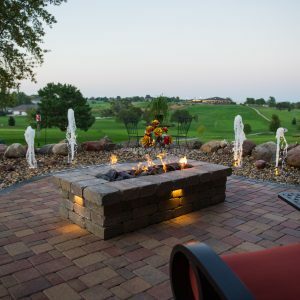 Does your dream include outdoor lighting? New shrubs, flowers, and greenery? An irrigation system? Our certified professionals can help you assess your current property and provide aesthetic solutions that will improve your property value. Let us add safety and elegance to your space with high-efficiency low-voltage outdoor lighting. We can incorporate fluid elements that will give your space the appropriate balance. Ready to make your dream a reality? 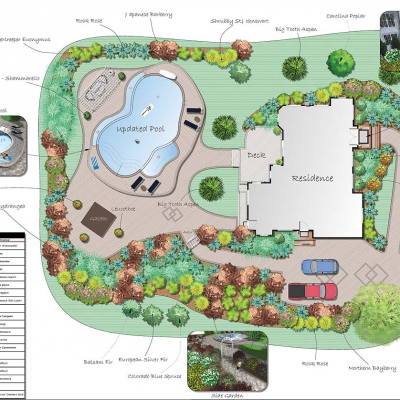 We offer professional design and landscaping services to bring your property to life. Softscapes are the perfect compliment to your lawn. Our professionals will review and suggest fluid elements to improve the look and feel of your space. We take snow seriously. 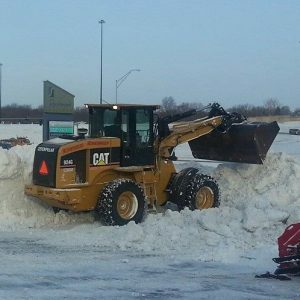 We understand you need snow removed fast so you can get to work or keep your business open. We offer the following services to keep you moving. 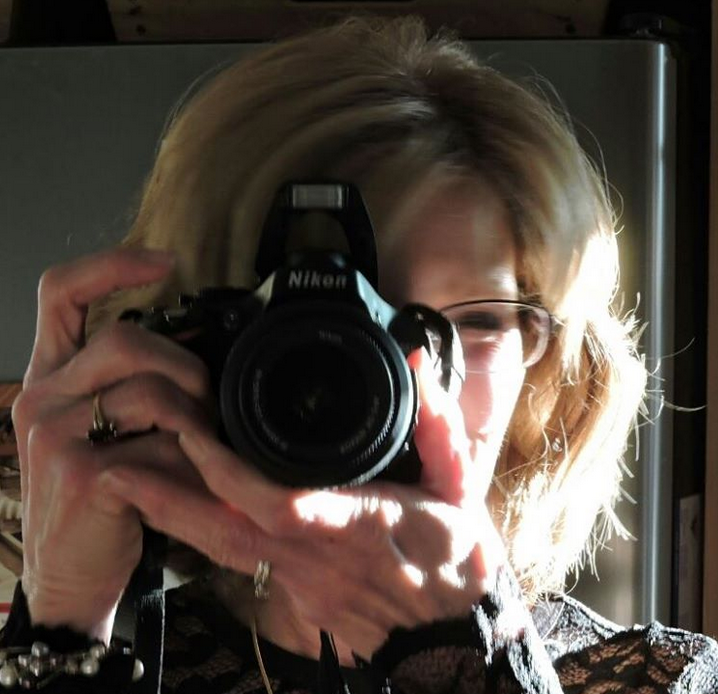 Have a home or business? We can handle it. 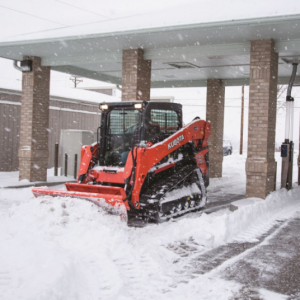 Our fleet of equipment and personnel are ready to tackle any storm. We don't stop when the storm is over. 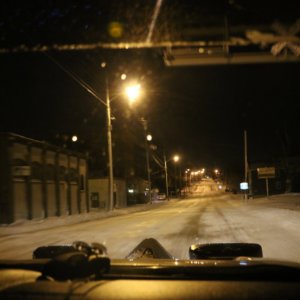 We'll work 24/7 to keep your property clear and safe. 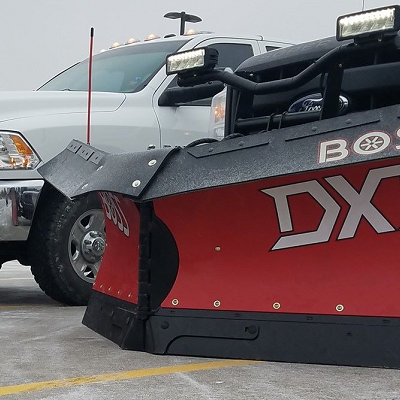 Our 4x4 trucks are equipped with large plows and make quick work of parking lots and streets. Our fleet of skid loaders allows us to quickly clear tricky areas where our trucks can't go. 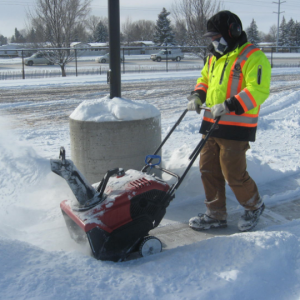 For precision clearing, our crews hit the pavement with shovels and snowblowers. 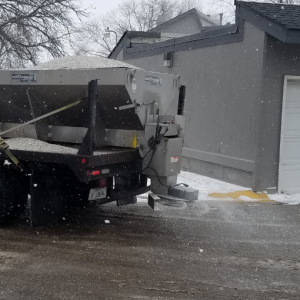 As a follow-up to our removal operations, we salt and sand slippery surfaces to improve the safety of your property after the storm. When the big storm hits, we're ready to clear your property and haul snow off to our remote dumping ground. Snow gone for good! Impress your neighbors or competitors with a perfectly manicured landscape by Ground Builders. We can handle any size property and offer affordable pricing. We offer the following services to make you the envy of your neighborhood. Our fleet of mowers cut precisely and keep your lawn fresh and clean. Just need a one-time cut? No problem. 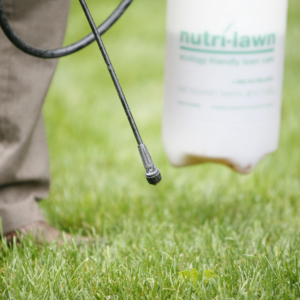 Preparation is key to a healthy lawn. 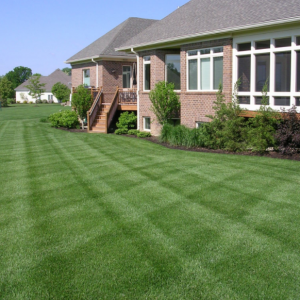 Our professionals will work with you to schedule these services to keep your lawn perfect. 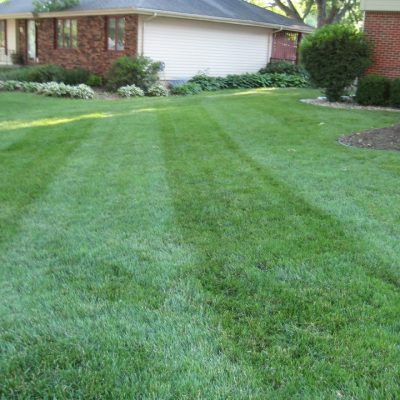 A crucial element to maintain a thick and lush lawn. 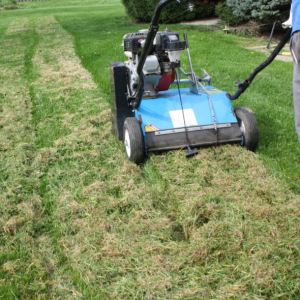 Our professionals know the perfect time to overseed and will do any required prep-work. The enemy of any lawn. Our professionals know how to battle and defeat pests and weeds with seasonal and on-demand applications. 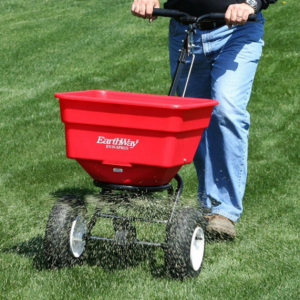 April (anytime): A heavy rate of granular pre-emergent fertilizer applied to help with early green up and prevention of unwanted weed seed germination. May (end of): Second application of a granular pre-emergent fertilizer to help ensure the prevention of crabgrass and foxtail weeds throughout the summer. July (beginning of): An application of a granular fertilizer that includes Merit® insecticide to help control grubs. August (anytime): A slow release granular fertilizer is applied that is high in magnesium and other nutrients. 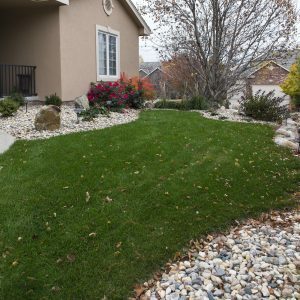 September (end of): A fall granular fertilizer is applied to encourage root development and will help keep the lawn green through the rest of the season. We also highly recommend aerating and over-seeding at this time. November (anytime): Application of a winterizing fertilizer to ensure proper root development and food storage for the winter and a quick green up in the spring. We offer the following bulk materials from our supply yard. FREE DELIVERY with the purchase of 6 yards or more! Please call for prices and availability. To book a free consultation, send us a message using the following form or call us at 402-515-8779. Copyright 2019 - Ground Builders, Inc.